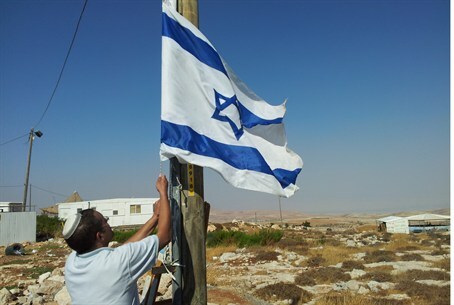 The High Court of Justice ruled on Wednesday that Israel must evacuate the community of Migron by September 4. The High Court of Justice ruled on Wednesday that the residents of the community of Migron, in the Binyamin region, must be evicted by September 4, and most of the buildings there razed by September 11. However, homes on Plot 10 will not be razed for the time being until their legal status is resolved. The ruling came after the state indicated on Thursday that Migron's residents would have to be evicted within the next few days. At the hearing, Supreme Court President Asher Grunis and Justices Edna Arbel and Miriam Naor discussed the two separate petitions submitted by the residents of Migron. A group of 17 families from Plot 10 requested to stay on their land, which they have purchased, while another group of 30 families sought to delay their eviction until construction at the new temporary residence site is completed. During the hearing, the State Attorney's Office (SAO) representative said that there is no reason to hold up the eviction, and that if necessary, the residents will be moved to a different location while waiting for the temporary site to be completed. In response to the High Court decision MK Dr. Michael Ben-Ari of the National Union party said that, “while the judges are hypocrites, the destruction of Migron is ultimately the direct fault of the Prime Minister and Likud ministers." “The court proved once again that there is no limit to its leftist hypocrisy,” he added. "We believe that the evacuation should take place within a few days,” said Attorney Osnat Mandel of the SAO. Attorney Michael Sfard, who represents Peace Now, said that the court must "convey a broader message" and destroy all of the homes, in the face of the "civil disobedience" of the residents of Migron. “People came and stole land for ideological reasons,” he claimed.